This is baby Faith – she came in for an hour’s shoot with her mum. They initially were going to come in but the wedding season was so busy, we could not do her as a baby; at one year’s old, a baby photoshoot is usually quite easy, however, with the one hour to get to know the baby, this can be tricky. Faith was gorgeous and her mum Sophie bought her several outfits. We borrowed a colleagues studio which made life a lot easier and after 45 minutes, Faith finally warmed up a little. We got some amazing shots. 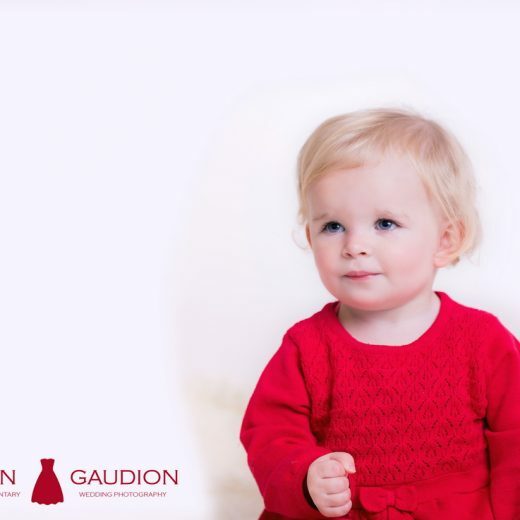 If you fancy a family photoshoot or baby photoshoot and you are in West Sussex or Chichester or Hampshire, please give me a call on 01243 574737 or email sales@gaudions.co.uk. If you are getting married and need a wedding photographer in Hampshire or West Sussex or Chichester, please email sales@gaudions.co.uk or go to www.gaudions.co.uk to check out my wedding galleries. Thanks. !